PORT-AU-PRINCE, Haiti - The US administration has confirmed current efforts by the Haitian government to organize free and fair legislative elections, to fight corruption and to implement financial transparency and accountability requirements for the Caribbean country's government institutions, US officials say. According to a communiqué released on Monday by the US Embassy in Haiti, the US Secretary of State, John Kerry, has notified the US Congress that Haiti is taking steps to hold free and fair elections and to prosecute government functionaries involved with corruption, among other initiatives. 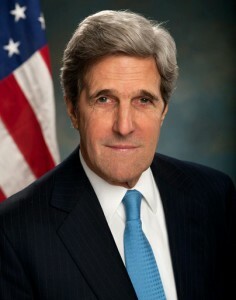 "I hereby certify that Haiti is taking steps to hold free and fair parliamentary elections and to seat a new Haitian Parliament," wrote Kerry to Congress. "The government of Haiti is respecting the independence of the judiciary; and the government of Haiti is combating corruption and improving governance, including passage of the anticorruption law to enable prosecution of corrupt officials," wrote Kerry. The US Secretary of State also explained that "the Haitian government was implementing financial transparency and accountability requirements for government institutions." The certification, published in the Federal Register, was required by Congress from the Obama administration as a prerequisite to any allocation of US funds to Haiti. It is the very first time in Haiti's 210 years of history that a US Secretary of State has issued such a certification in favour of a Haitian government on efforts made to fight corruption, to ensure good governance and transparency, and to respect the independence of the judiciary. Haitian President Michel Martelly last week appointed a new provisional electoral council to organize a ballot to elect two thirds of the 30-member Senate, to renew the entire Lower Chamber and scores of local government authorities. The new nine-member electoral panel took office on Monday. Martelly signed into law last week tough legislation to crack down on government officials and others involved with corruption. Several dozen people, including government functionaries, have been either jailed or indicted on corruption charges over the past year. Haitian Prime Minister Laurent Lamothe said he has instructed all the members of his government and other managers of public funds to fully comply with the provisions of the new anti-corruption law.